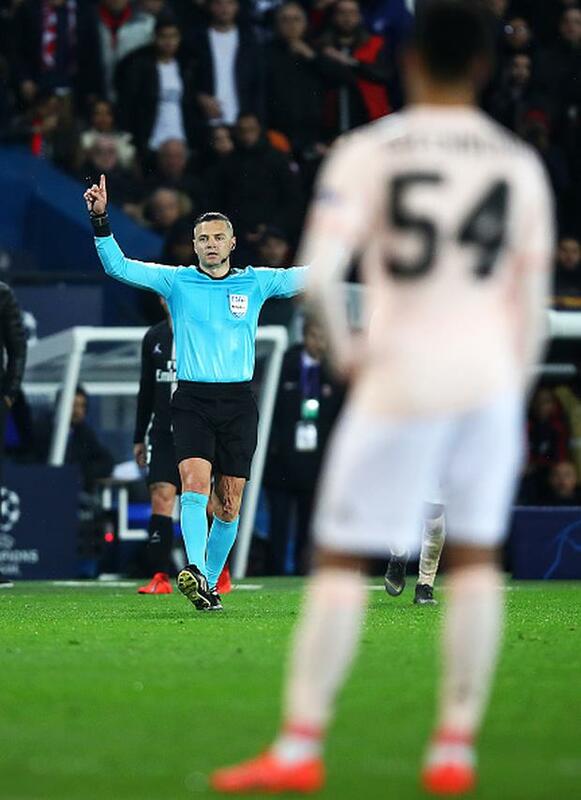 Marcus Rashford's controversial injury-time penalty allowed Manchester United to erase a two-goal first-leg deficit and reach the quarter-finals of the Champions League at Paris St Germain's expense. But opinion is raging over the decision to award the spot-kick for handball against PSG defender Presnel Kimpembe, with players and officials split over the verdict. Here Independent Sport examines the decision, and some of the previous VAR arguments which may have shaped it. It depends who you ask. Most players seem adamant it should not have been awarded - even former United star Rio Ferdinand insisted it had been impossible for Kimpembe to get out of the way. Even top referees are split on the issue. Former Premier League official Peter Walton said he had no doubt that under the letter of the current law, the right decision had been applied. But both Mark Clattenburg and Dermot Gallagher have said it was wrong. Most of the analysis of the incident seems to centre around whether Kimpembe's action was deliberate. Whilst common consensus suggests that it wasn't, there also appears to be confusion over whether, as the ball clearly struck his arm, the question of actual intent is irrelevant. Coincidentally, it is precisely the issue that the International Football Association Board (IFAB) had been attempting to clear up at its annual general meeting last week. What is IFAB, and what did it decide? IFAB is an independent body made up of experts who set the laws of the game. At their AGM on Saturday it specifically questioned the use of the word "deliberate" in terms of handball decisions, arguing instead that the focus should be on whether or not the player's arm extended beyond a "natural silhouette" when it came into contact with the ball. For example, if a player kept his hands by his sides, a handball would not be given. How that might be interpreted in the case of a player who, like Kimpembe, is levering his arms in the course of a jump, is still not clear. What did VAR have to do with it all? Use of VAR in Champions League games only came into play in this season's last 16 and had been under the microscope since the system briefly malfunctioned during Manchester City's game at Schalke last month, in a time period in which two penalties were awarded. Referee Skomina referred to VAR to watch multiple replays of Kimpembe blocking Diogo Dalot's shot before awarding the penalty, and it was hard to see how not penalising Kimpembe for a handball could be construed as a "clear and obvious" error by the referee, which is supposed to be when VAR comes into play.